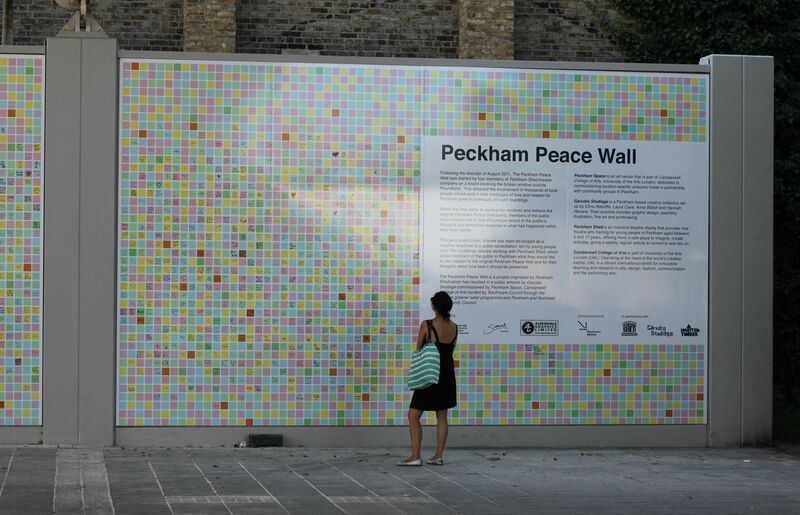 If you read my blog from last summer which talked about the London riots titled ‘Peckham is a real community‘, you’ll remember the photos of the ‘peace wall’. The wall of post-it notes put up by the local community sharing their thoughts on the riots and how it had affected Peckham. The post-it notes were preserved and had been moved to the area outside of Peckham library in Peckham Square for a while but now they’ve been turned into a permanent ‘Peace Wall’. 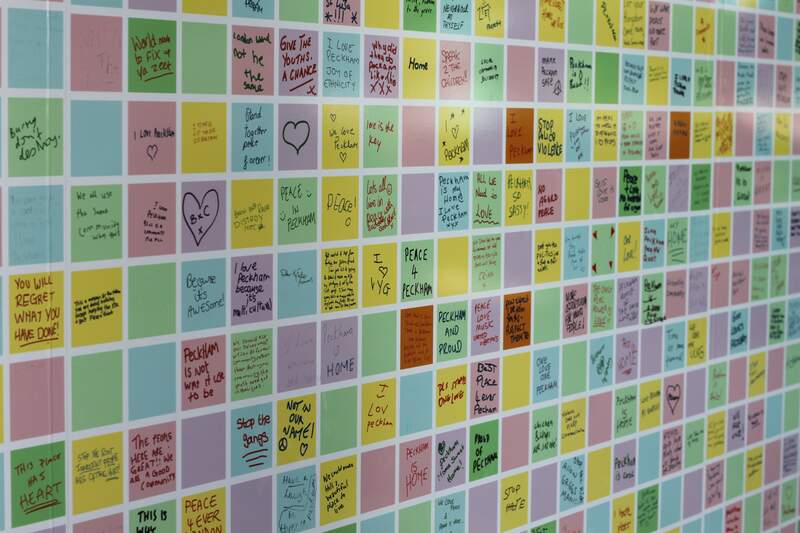 Every post-it note (ok, clearly the best have been selected) has been scanned in and turned into an organised wall called the ‘Peckham Peace Wall’. It was such a great surprise to come across the wall and be able to read the messages properly. Peckham Peace Wall by Garudio Studiage celebrates the wall of post-it notes of love and respect for the area which grew on Rye Lane following the disorder of last year, and launched on the 8th August 2012 to mark this one year anniversary. It’s amazing how a basic movement of messages has been transformed into a fantastic piece of art that brings the centre of Peckham to life. 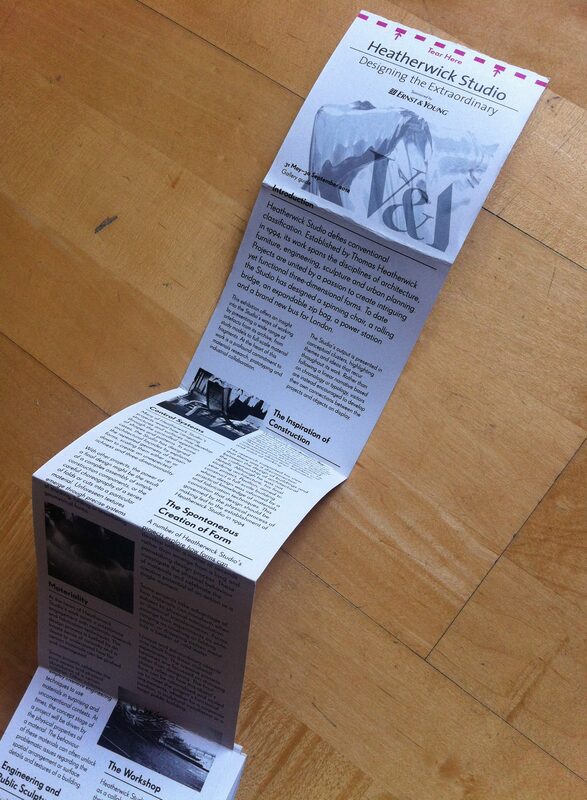 It was even featured in Creative Review back in August. I highly recommend going to have a look for yourself. Have you ever wondered how an opera may appear to someone who is deaf or hard of hearing? Considering an opera is ‘an art form in which singers and musicians perform a dramatic work combining text and musical score, usually in a theatrical setting‘ you would imagine that someone who cannot hear may choose a different activity or pass time. Sarah Grange of Release the Hounds clearly wondered the same thing and after discovering the fascinating life of Annie Jump Cannon, the American Astronomer (1863-1941), decided to produce an opera for those that can hear, and those that cannot. Annie was an astronomer who studied stars at Harvard University, USA. Sarah first read of Annie in a book called Big Bang, about astrophysics. Sarah’s ‘a closet astrophysics obsessive, and collects forgotten female heroes‘. This discovery matured into learning about sound art theory and Sarah started to really think about listening and what sound is. All of this came together to make an opera after bringing the idea to Stephen Bentley Klein who has a deaf daughter. 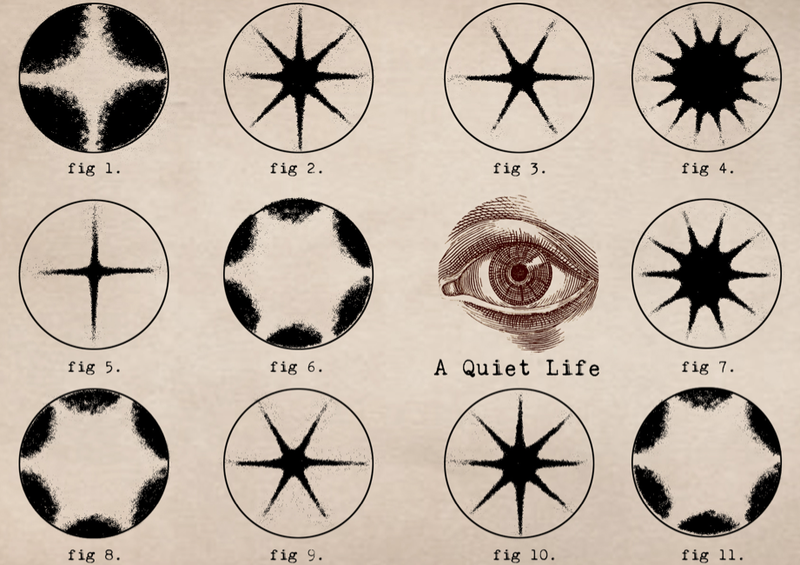 The opera ‘A Quiet Life‘ is about a crucial moment in Annie’s life when her mother dies and when she starts to lose her hearing. These moments are brought together as a multi-sensory opera set in America in 1894. So, how do you put on an opera which people with hard of hearing can enjoy, you may ask? The fantastically innovative team behind the opera had thought of everything. The opera was an experience. 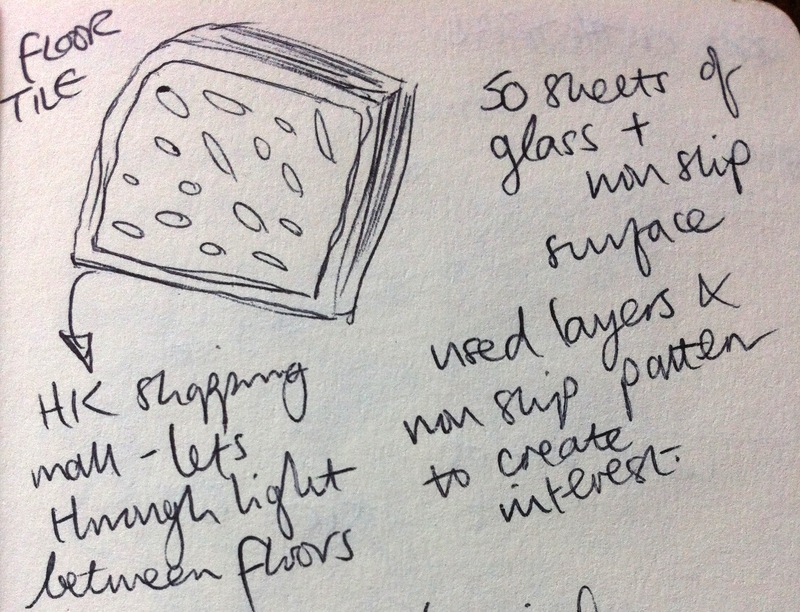 You were invited to move around, play, touch and be curious (but gentle!). There were no chairs to sit on. 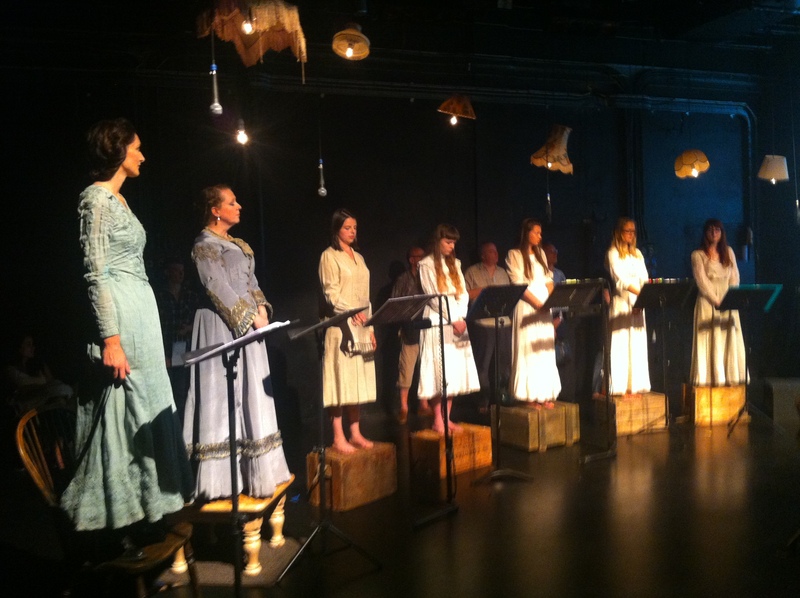 The cast were stood in a semi circle on chairs/boxes with a pianist, conductor and various other instrumental additions in the middle of the room and around the edges were experimental pieces to enjoy the music. ‘People from the deaf community don’t get the opportunity to attend musical events and this is designed to include everyone.’ said one of the performers interviewed on the BBC. 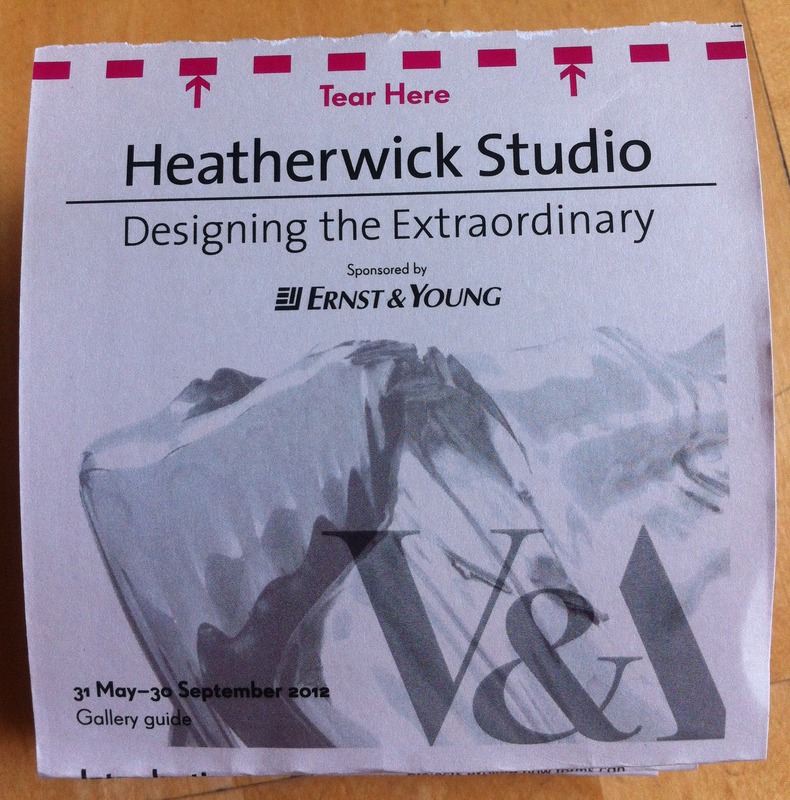 It was such a unique piece to watch, listen to and take part in and incredibly thought provoking to think how someone with little hearing would experience it. Sarah wanted to ‘make the piece accessible to people with hearing loss; captions in the piece, sign language and speakers set up in unusual ways‘ and she definitely achieved this. The words were wonderful, the music was beautiful, the singing fantastic – I highly recommend seeing the opera if you get a chance. I’m not sure if another date has been arranged so it may be a case of ‘watch this space’. 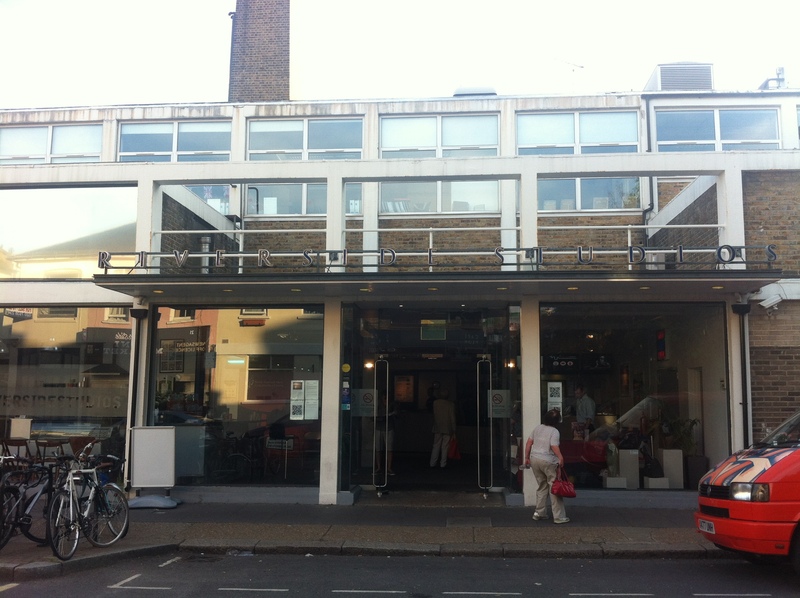 A Quiet Life was performed at the Riverside Studios in Hammersmith on 11th and 12th August as part of the Tete-a-Tete Opera series. There’s a fantastic recording and interview on the Tete-a-Tete website. 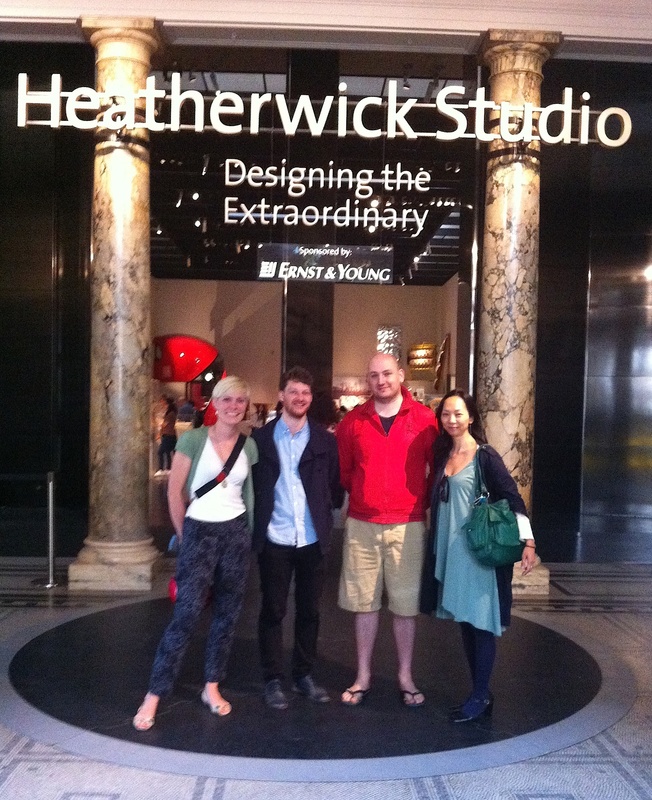 Clerkenwell Design Week & the bamboo stylus! 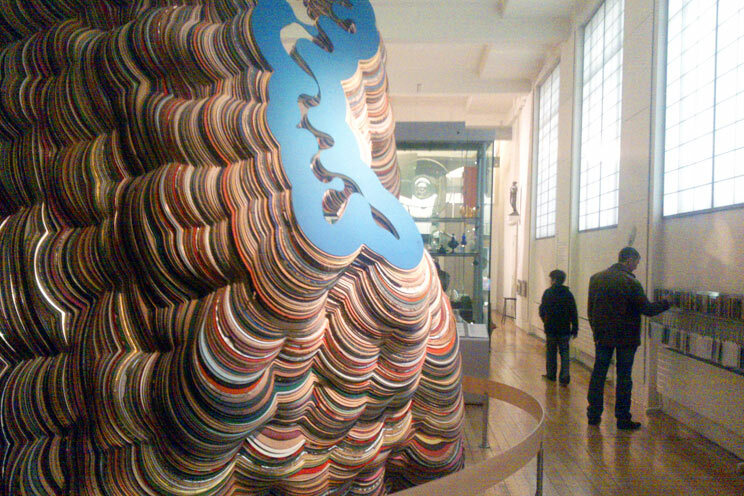 The Clerkenwell Design Week 2012 was yet again, a very inspiring few days. 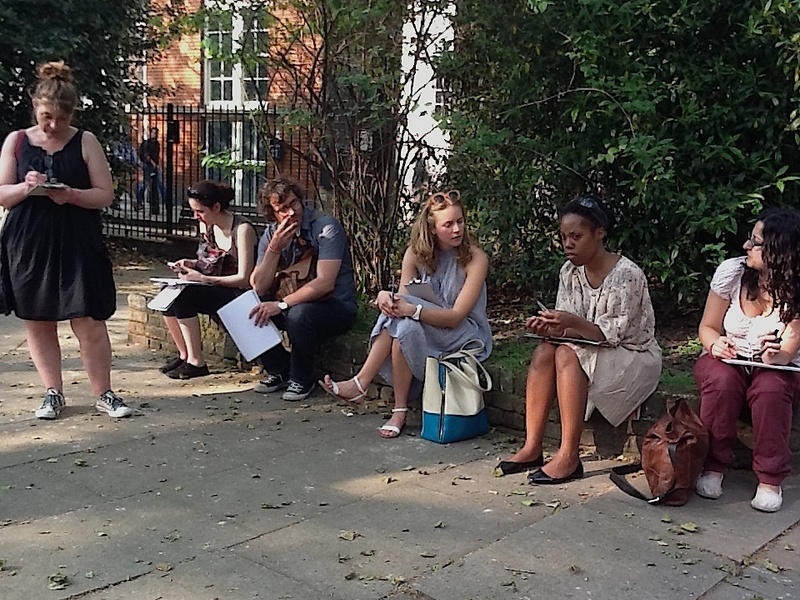 The studios and showrooms in Clerkenwell opened their doors, there were talks and events, parties and a brilliant walking tour run by Creative Clerkenwell. The walking tour was with designer and historian Jane Young of London Kills Me and sponsored by wacom bamboo stylus, THE pen for sketching on the iPad. 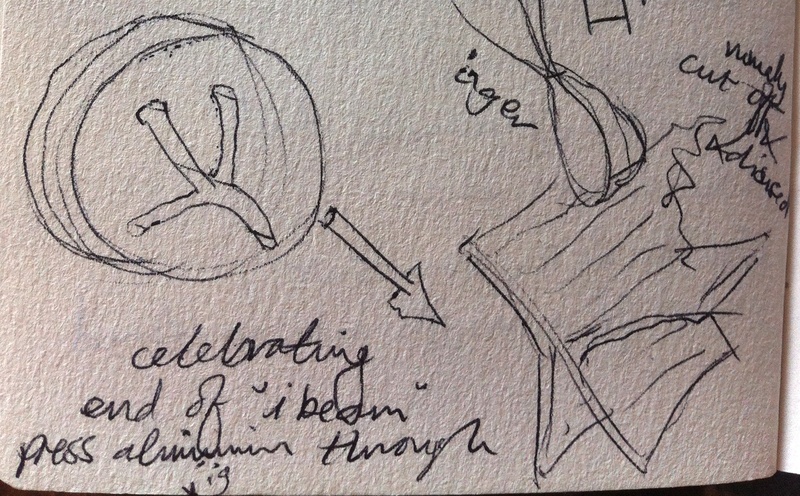 Jane took us all around Clerkenwell, pointing out buildings of significance, taking us past the new Goldsmith Centre, explaining the relevance of the Jerusalem Taverns in the area and allowing us time to sit and draw what we could see around us. 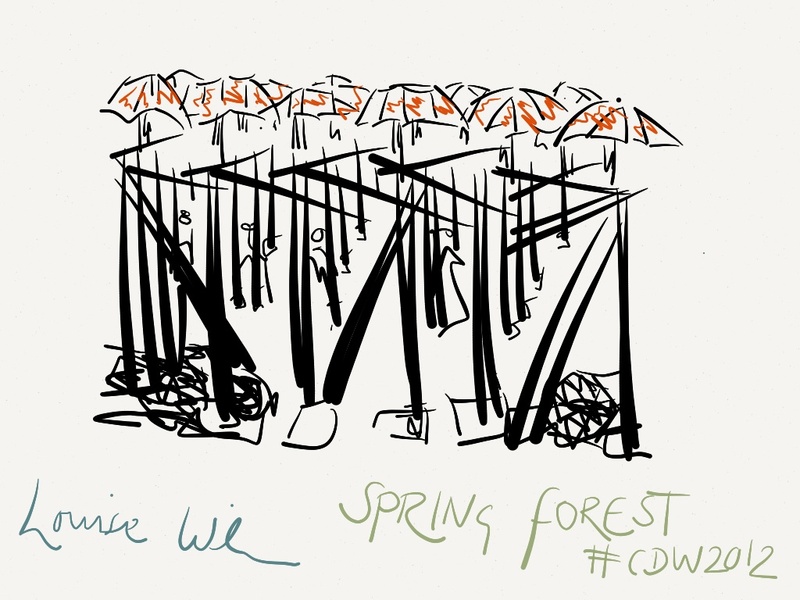 We stopped in the park behind St James Church, Clerkenwell Green to do some drawing and found a fabulous art installation titled ‘Spring Forest’ by the architect, Franceso Draisci. 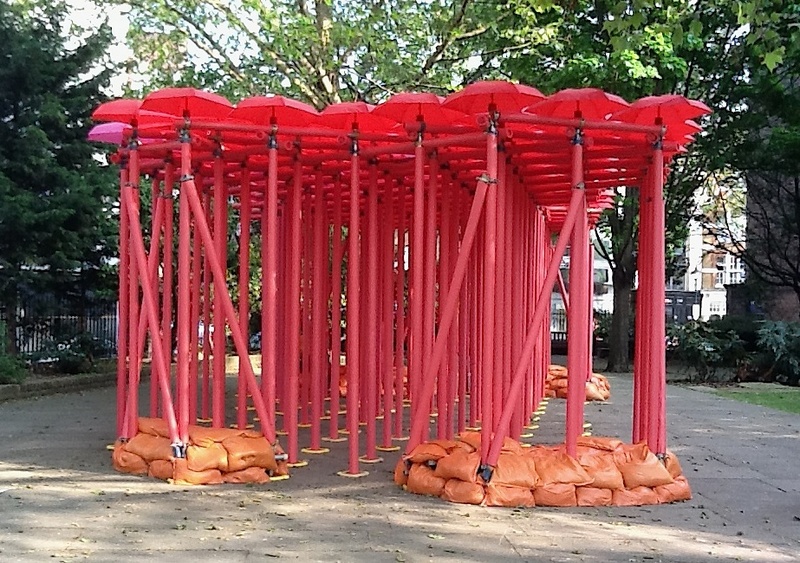 Made of scaffolding poles, red insulation foam and umbrellas, the installation provided a play ground for children, shade for those craving to get away from the sun and a colourful piece of art for the eye. I just had to sketch it using my bamboo stylus and ‘paper 53‘ app on my iPad. 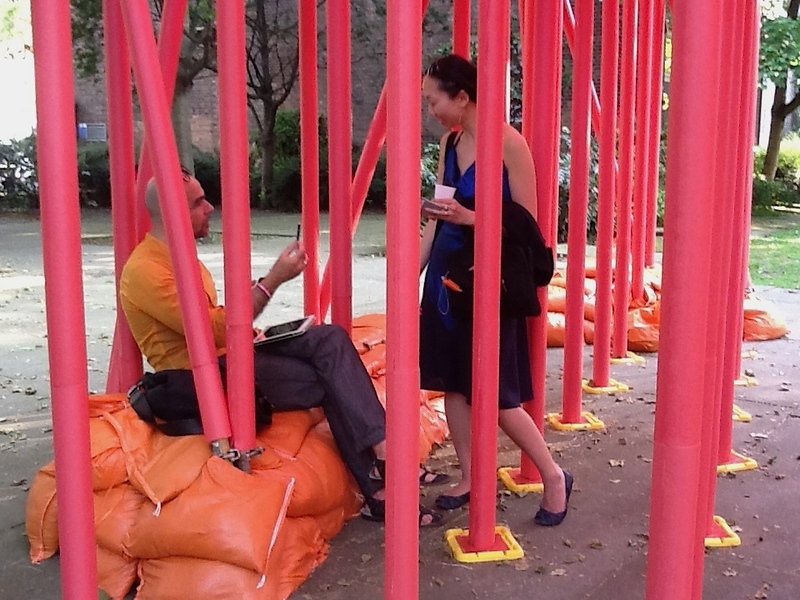 Then we discovered, sitting amongst the installation was the architect himself – what a great find and surprise! Such a lovely couple of hours enjoying the May sunshine, meeting inspiring people, looking beyond my normal field of vision and learning new facts about Clerkenwell. 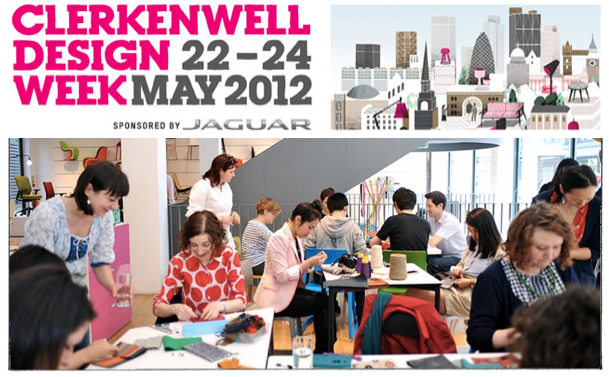 Thanks Clerkenwell Design Week, Creative Clerkenwell and London Kills Me. If you like drawing/sketching, enjoy using a tablet and haven’t tried using a sketching app yet, quick, download one and get hooked like I have! Not only does the App make drawings looks wonderful, it is really fun to use, easy to draw with and can be erased, changed in colour and given different finishes/textures. I use the Paper 53 App but there are plenty of others out there to try. The bamboo stylus is very elegant, lovely to hold and just works. The stylus tip is very sensitive and allows for different strokes to be made with a simple movement. 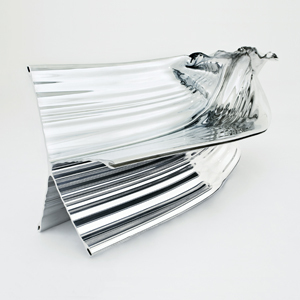 Check out the new lamp design by Jan Douglas – an inspiring South African designer who has been featured as ‘HOT AND NEW‘. 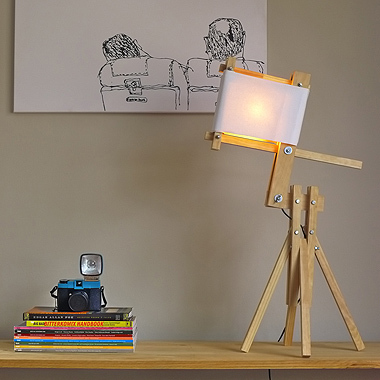 Cheeky Chap ‘infuses pine and canvas with cheeky personality in his refreshing and playful Kantel Knaap (Afrikaans for “Tilting Chap”) table lamp design’. To add sustainable value to the lamp, all of the timber pieces are standard sizes, simple cut to different lengths which means there is no need for additional manoevre and South African pine is considered a sustainable source. 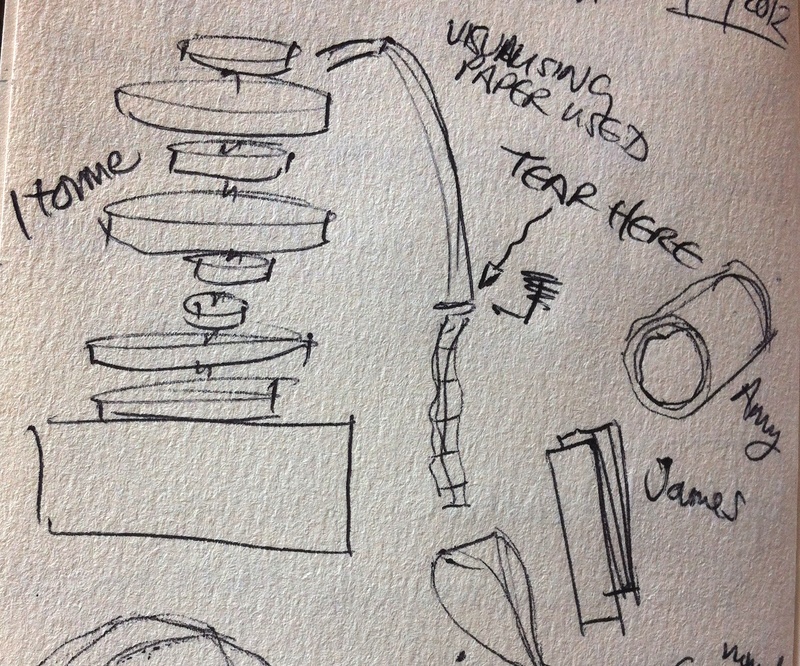 Of course, the simple design means the lamp is easy to disassemble at the end of its life. 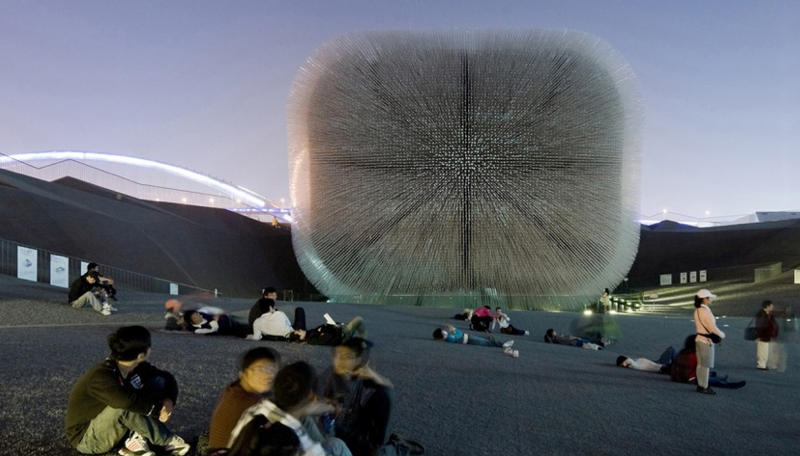 At last, it looks like there is a reuse for chewing gum! The disgusting product has been melted down and turned into an injection mouldable material. 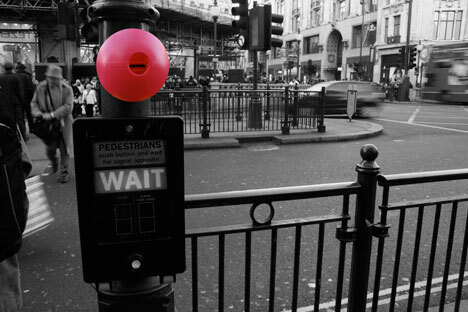 I had never seen recycled chewing gum until I was shown a ‘Gum Drop Bin‘ – a bright pink, hollow ball with a hole in it. 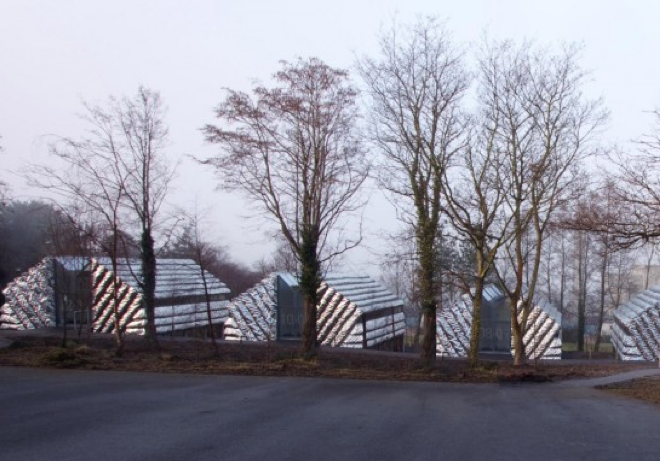 It can be fixed to a fence or post and used to collect gum, then melted down to be reused. 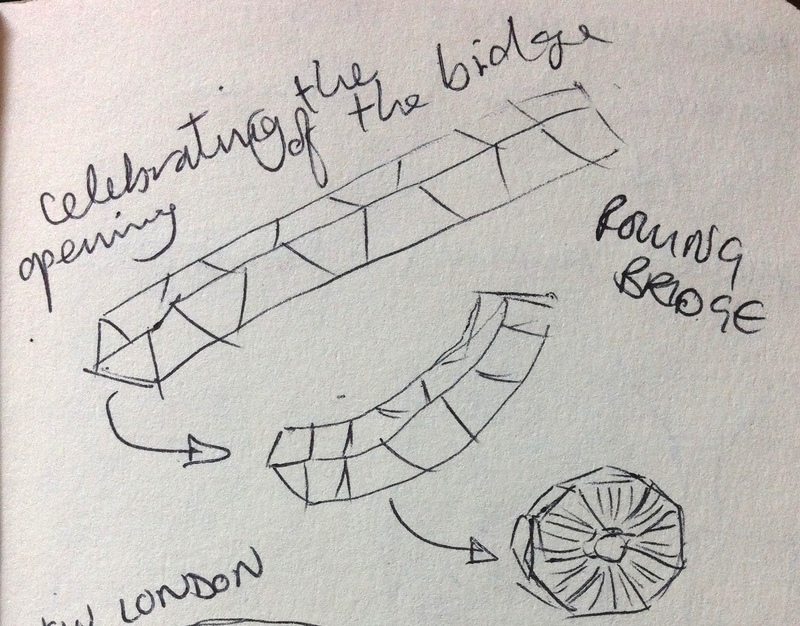 Well done to Anna Bullus for coming up with the innovative new rubber material. It does appear though that I may be late in discovering this product as after doing a quick bit of research, found a competitor. The ‘Chewing Gum Bin‘, once again a pink bin is available to purchase. 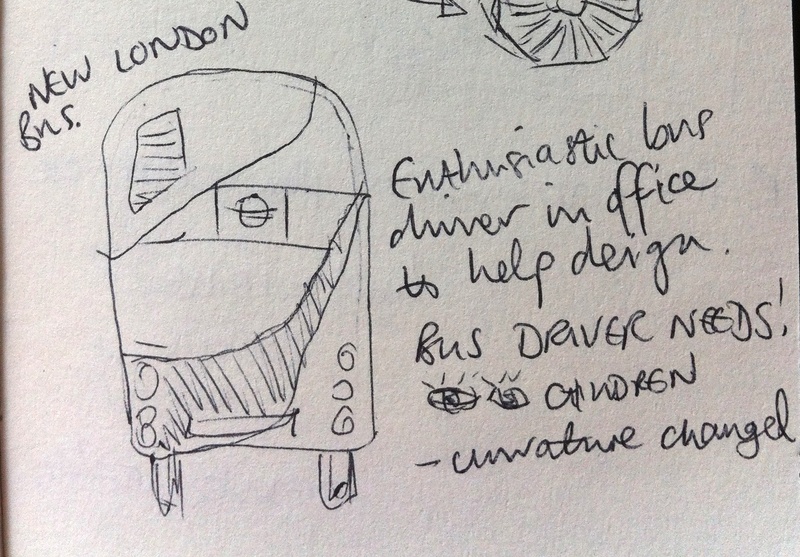 I was shown it as part of a workshop to do with understanding behaviour change design. It is definitely a great example of encouraging people to dispose of their chewing gum correctly and a fantastic example of a closed loop system but I want to see one in action. As a group, we wondered if its USP was in schools; you could place them on playground fences and once people have begun to understand what the balls were, you could reduce the number of them so that eventually there is just one by each bin. I hope that the material becomes more mainstream and other uses are found for it.